Sherida Stewart » Blog Archive » Chocolate and #OneWord2018, a #TuesdayTea with #Treasured #Blessings! Chocolate and #OneWord2018, a #TuesdayTea with #Treasured #Blessings! Welcome to a CHOCOLATE Tuesday Tea! Don’t these truffles look amazing? I’ll pour you a cup of tea, coffee or cocoa, while you select a few of these chocolate candies. 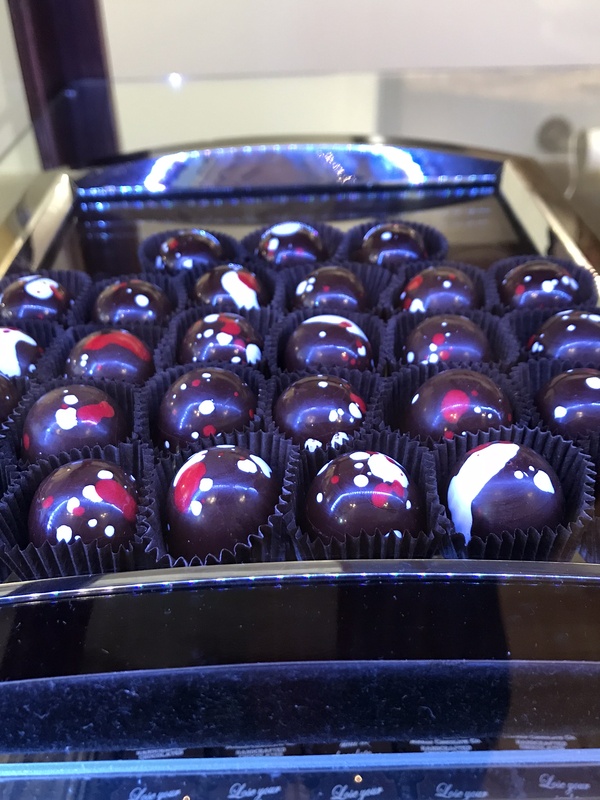 These “Snakebite” truffles are from a favorite shop in Durango, Colorado, the Animas Chocolate Company. I haven’t sampled these particular delights, but the decorative colors are perfect for a Valentine’s Day treat, don’t you think? So glossy and pretty! What does chocolate have to do with MY ONE WORD? For a few years now, I have embraced the concept of selecting One Word for the year, along with a Scripture reference for my motivation. In the past, I’ve selected LIGHT, LOVINGKINDNESS, REFLECT and SERVING….words which helped me focus on one thought rather than a mix of many resolutions. Starting in December, I began to seek my 2018 word…mulling over possibilities, trying out different choices, and praying for the flashing sign. Which word would God give me for 2018? None of the ideas popping into my head seemed to be THE sparkling One Word for the new year. But waiting was good. Near the end of the month, I received the glowing word God gave me! After a rough 2016, the past year of 2017 was a great year! As it was my husband’s first year of retirement, we did plenty of traveling, even more than we’d planned. We were fortunate to have special times with our sons and their families, including celebrating the birth and baptism of our third grandchild. I was blessed to be included in an encouraging group of Writing Sisters seeking the mutual dream of Christian publishing. Hiking in the mountains filled our summer days with joy, a miracle after my husband’s life-changing severe leg injury of a few years ago. With all these activities, 2017 was an amazing year! However, I realized I was frenetic…..rushing all the time, stressing to do everything, trying to make everything (and me) better…always thinking about my lengthening to-do list, planning the next fabulous trip, and continually revising my contest-finaling manuscript. I had plenty of blessings, but still….I found myself unsatisfied. I wished for more writing time. I wished for more time with family. I wished for more places to visit. I wished for more miles hiked. I wished for more success toward my publishing dream. I wished for more chocolate. You get the picture. I wanted MORE! I believe I’m always GRATEFUL for my blessings, praying each morning after our devotional time of lifting praises of thanksgiving and prayerful requests on behalf of those on our prayer list. I don’t like to think my desires for more are greedy or bad for me….well, maybe wanting more chocolate is not a good idea. I know my needs are ABUNDANTLY provided for by our Lord. During late December conversation with my husband, I felt a glowing moment of realization. God gave me my One Word for 2018…….APPRECIATE. and to APPRECIATE who I am……a flawed, sometimes self-involved, perfection-seeking child of God. He doesn’t want me to stop striving and planning for tomorrow, but to stop and APPRECIATE for a moment….what I do have and who I am….because of HIS LOVE and GRACE! At the beginning of the year, I start a new note on my iPhone, titled with my new One Word for the year. Right under the title, I include the new Scripture verse. During the year, this is where I jot down any important thoughts. This way, I see my One Word and Scripture often. Has my One Word enlightened my 2018 path? Yes! Already in the first month of this new year, my attitude has changed because of my focus on APPRECIATE. I feel more relaxed. Contented. When I start to whine or complain, I stop, giving myself a moment to appreciate my situation. This puts a new light on my attitude. Even my husband has noted my “inner peace.” Thank you, Lord, for Your love and guidance! 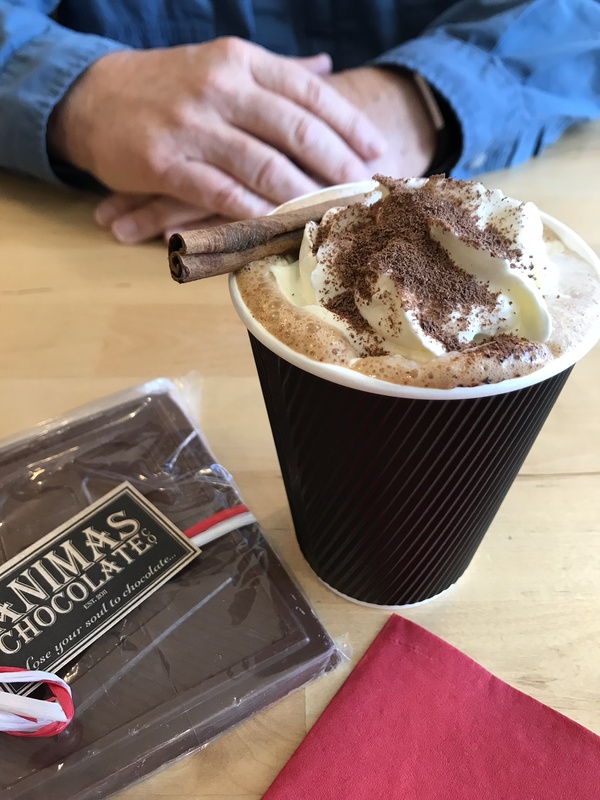 And speaking of chocolate, here’s a treat from a special place, Animas Chocolate Company, in Durango, Colorado. And, yes, I appreciated sharing the delicious and spicy El Bandito coffee and pure milk chocolate bar (inscribed with “LOVE”) with my husband for an early Valentine treat. But the best part? Appreciating the blessing of spending some quiet time with my husband. Perfect! 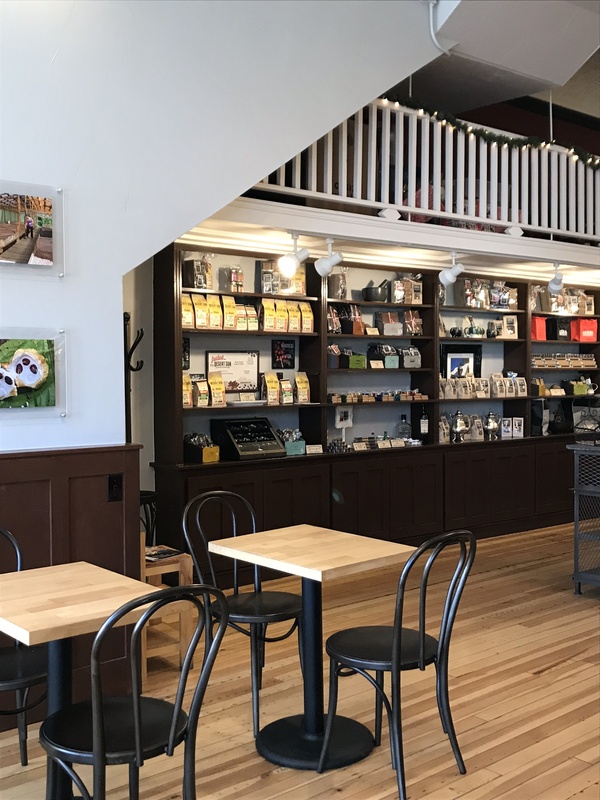 Animas Chocolate Company shop in Durango, Colorado. There is no need to comment. Instead, take a moment to APPRECIATE your TREASURED BLESSINGS, especially the blessing of God’s deep love for you. Please know I appreciate you and pray for you, my friend. This entry was posted on Tuesday, January 30th, 2018 at 7:38 am	and is filed under Food and Treats, Inspiration. You can follow any responses to this entry through the RSS 2.0 feed. You can leave a response, or trackback from your own site. I know you said no need to comment, but I wanted to leave a quick note to say that I APPRECIATE this heart-felt post, and I also APPRECIATE YOU, Sherida. You have such a sweet spirit and I’m sure you’ve touched many lives (mine included!). 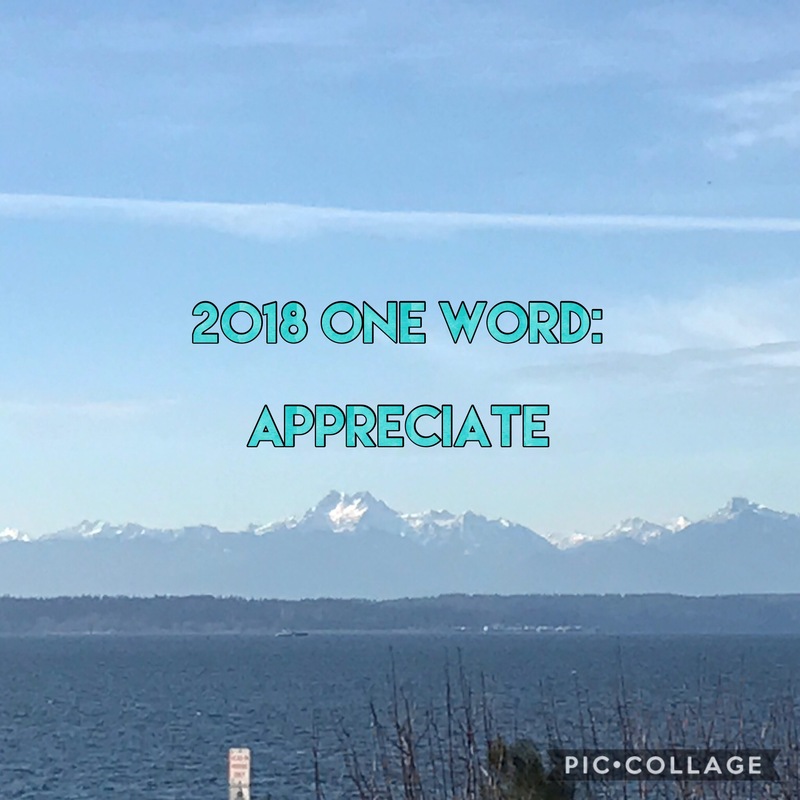 Your One Word for 2018 is very meaningful and I’m glad you shared with your readers. Blessings and hugs to you! Patti Jo, thank you so much for your sweet comment! You are truly an encouragement to me. I’m so thankful we’re on this writing journey together. looking forward to seeing what blessings 2018 holds for all of us! Blessings and hugs back to you! No computers were harmed in the 1.986 seconds it took to produce this page.